The meaning of traveling is to arrive at a destination; the meaning of hiking is to experience the journey. 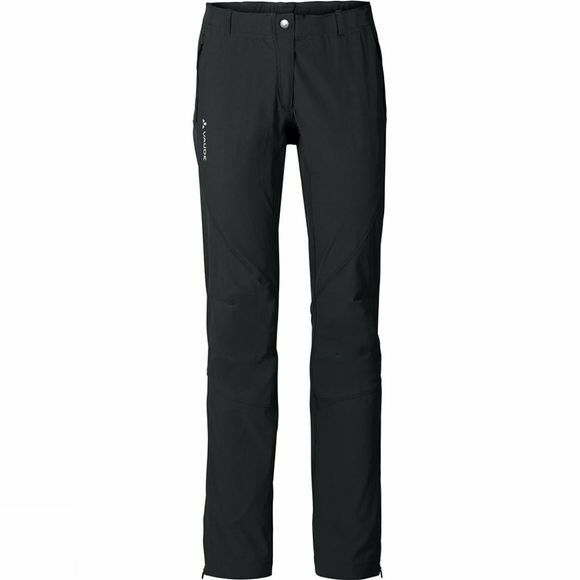 Vaude have developed these comfortable Womens Routeburn Stretch Pants made from eco-friendly bluesign certified material for women who like to be on the go. Highly functional, yet interpreted with a fresh and sleek appearance: a little lower at the hips and with a slightly narrower leg. The leg cuffs are width adjustable with a zip. 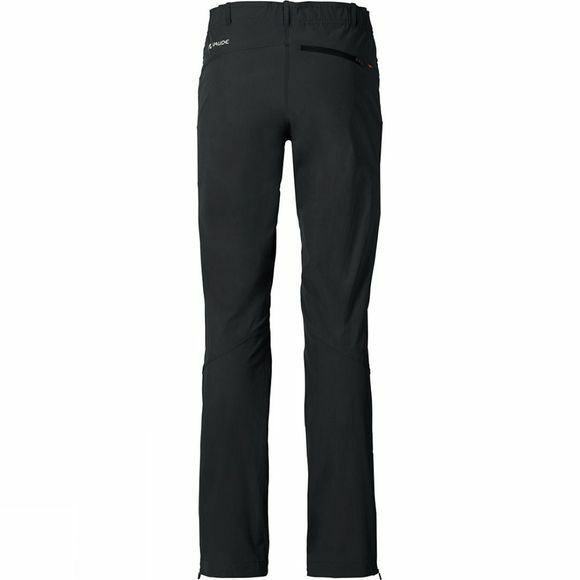 The high stretch articulated knees make them extremely comfortable. The easy-care, fast-drying fabric ensures reliable performance. With zip pockets to keep your belongings safe from pick pockets. This product is made with Eco Finish, an eco-friendly water-repellent finish without fluorocarbons (PFC). Green Shape is your Vaude guarantee for eco-friendly products – made from sustainable materials and resource-conserving production.